Sacramento, California – Pablo’s Auto Repair & Towing, leading providers of towing and roadside assistance solutions in the Sacramento area, looks ahead to the potential impact intelligent cars will have on the number of towing requests in 2017. 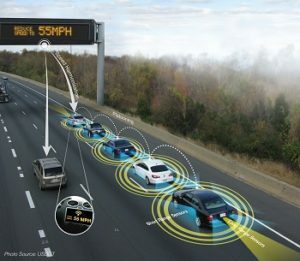 As cars and other vehicles become more dependent on computerized systems, the risk of unauthorized access or potential technical-flaws is a growing concern for drivers. Cars provide such features as remote parking, voice-activated controls, and additional conveniences for busy modern lifestyles. Collecting and analyzing data from these vehicles’ sensors, which allow manufacturers to better-understand the ways in which drivers use their automobiles and improve future products. Pablo’s Auto Repair & Towing is dedicated to maximizing the safety and reassurance of vehicle-owners in the Sacramento area, and is discussing the importance of collaboration in today’s automotive sector. Pablo’s Auto Repair & Towing believes that companies should come together to use sensor data from competing manufacturers. The aim of this would be to enhance the experience of driving across the board, leading to improvements in the industry itself rather than being limited to specific brands. This will also lead to greater security risks, with research suggesting that self-driving cars (on the brink of becoming more common) could fall prey to hacking. This may lead to thefts and even kidnapping, exposing drivers to a new danger on the roads – even as self-driving, intelligent cars may reduce risks elsewhere. By working together to share data, companies should be able to create a fully-autonomous vehicle with the very highest security systems. Keeping drivers as safe as possible is a key concern for Pablo’s Auto Repair & Towing, and so they are excited about the power of collaboration to lead. However, should they – and other towing companies – be concerned about less need for their services? Intelligent cars will also be able to notify drivers of potential faults, battery issues, low gas, and more. With these warning systems in place, would the number of accidents and towing requests drop? “This is, of course, an inevitable side-effect of more intelligent vehicles, and it may indeed reduce demand for towing and repair services,” said executive Joel Snow. “However, we’re incredibly excited about the potential benefits of autonomous vehicles and warning systems, keeping drivers as safe as possible on the road.